On to objective number four. 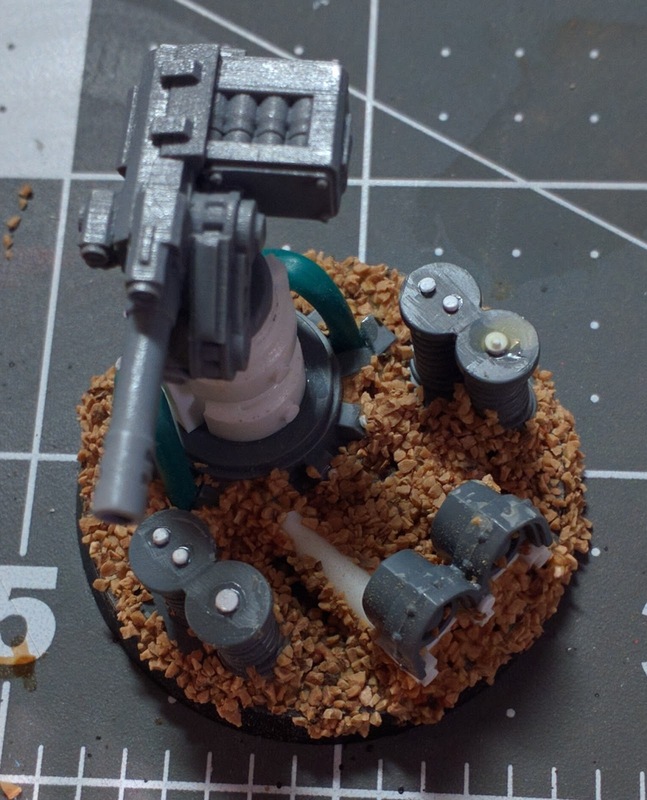 A remote gun turret. 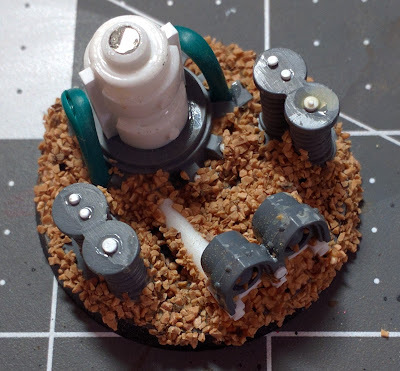 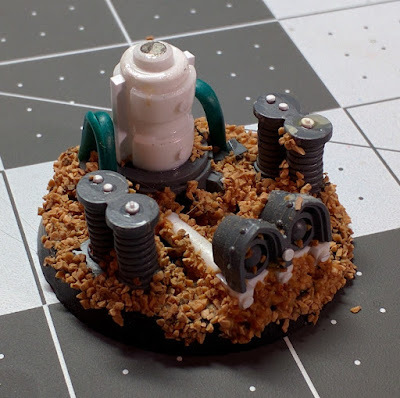 Made from bits and pieces lying about, Baneblade lights, coils, a plate from the Storm Fang, some styrene tube and a cannon from the Anvil Industries Taurus Gun Tractor.